This Wednesday, September 30th, at 1:00 PM EST Prepar3D v3 will be available for purchase and digital download via the Prepar3D Store. Prepar3D v3 allows developers and users to build and experience advanced simulated training environments using a new slate of features that simplify development and augment the training experience. Prepar3D v3 further simplifies training scenario creation with major updates to SimDirector, the industry leading simulation courseware creation tool. Prepar3D v3 also welcomes enriched training capabilities by incorporating Autodesk® Scaleform® support, which improves the user interface and expands gauge and panel training capabilities. The new release also features a new avatar mode that enables users to exit their vehicle and experience the simulated environment in first or third person for increased realism and situational awareness. Prepar3D v3 continues the tradition of being the most affordable high-fidelity visual simulation platform on the market. Many of the features and updates were directly driven by the community and the user base of Prepar3D. We look forward to continuing the conversation and reading your feedback on the Prepar3D Forum. The detailed list of exciting new features and capabilities can be found in the What’s New in v3 Release Notes! What do you need to know before considering purchasing Prepar3D v3? Below are the minimum and recommended Prepar3D v3 system requirements. Prepar3D v3 features significant memory and performance optimizations, which enable greater volumes of detail and increased realism. Users will now be able to better utilize next generation hardware to achieve an immersive experience that was never possible before. Acceptable uses of Prepar3D include Simulation, Learning, and Training. An Academic License is provided at a discount for students. 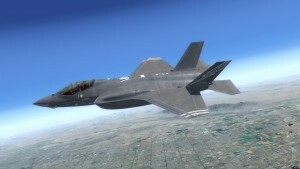 Prepar3D v3 Professional Plus has additional features for military training, which include weapons, countermeasures, and military relevant AI behaviors. Are any new vehicles included in Prepar3D v3? Yes! In celebration of Lockheed Martin’s recent announcement of the acquisition of Sikorksy Aircraft, we are very excited to announce that the Virtavia developed Black Hawk will be included in Prepar3D v3. In addition, Dino Cattaneo and the India India Alpha Foxtrot Echo team will also be including an updated version of their F-35A. By default, both new vehicles are included in Prepar3D v3 along with all original v1 and v2 vehicles! I have Prepar3D v1/v2, how do I know if Prepar3D v3 is right for me? All future updates to Prepar3D platform will be for Prepar3D v3. 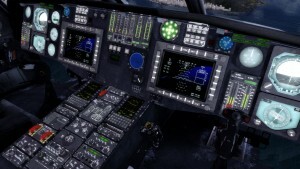 Prepar3D v3 brings many new and exciting enhancements. All videos above were shot and edited by beta testers over the past few months. Will Prepar3D v1/v2 still be available for purchase? I have a developer’s license for Prepar3D v1/v2. How do I update to Prepar3D v3? If you are a monthly subscriber, you can cancel your current subscription and purchase a new Prepar3D v3 developer subscription. If you wish to keep your v1/v2 monthly subscription you can keep renewing it and purchase a new Prepar3D v3 developer subscription. All major versions can be concurrently installed on the same machine. If you have purchased a pre-paid developer subscription and wish to change it out to a v3 developer subscription, please email licensing@prepar3d.com with your request.